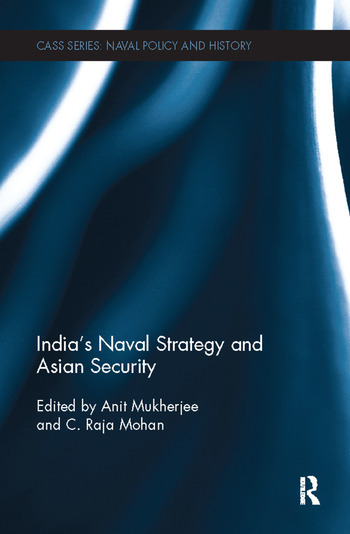 This book examines India’s naval strategy within the context of Asian regional security. Amidst the intensifying geopolitical contestation in the waters of Asia, this book investigates the growing strategic salience of the Indian Navy. Delhi’s expanding economic and military strength has generated a widespread debate on India’s prospects for shaping the balance of power in Asia. This volume provides much needed texture to the abstract debate on India’s rise by focusing on the changing nature of India’s maritime orientation, the recent evolution of its naval strategy, and its emerging defence diplomacy. In tracing the drift of the Navy from the margins of Delhi’s national security consciousness to a central position, analysing the tension between its maritime possibilities and the continentalist mind set, and in examining the gap between the growing external demands for its security contributions and internal ambivalence, this volume offers rare insights into India’s strategic direction at a critical moment in the nation’s evolution. By examining the internal and external dimensions of the Indian naval future, both of which are in dynamic flux, the essays here help a deeper understanding of India’s changing international possibilities and its impact on Asian and global security. This book will be of much interest to students of naval strategy, Asian politics, security studies and IR, in general. Anit Mukherjee is an Assistant Professor in the South Asia Programme at the S. Rajaratnam School of International Studies (RSIS), Nanyang Technological University, Singapore. C. Raja Mohan is a Distinguished Fellow at the Observer Research Foundation, New Delhi, India, and leads the Strategic Studies Initiative of the Foundation. He has published several books, including Samudra Manthan: Sino-Indian Rivalry in the Indo-Pacific (2013).